Hi everyone! Today, I'm here with you a new card I did for today's challenge. This is by far the hardest challenge for me because it's White on White. I don't have any embossing folders or many dies to play with so I had to make do with what I have :) I hope you'll still like what I did. I used my scoring board so make some embossed lines on the card. The stamps & dies are from the awesome Lawn Fawn while the sequins are from Pretty Pink Posh. 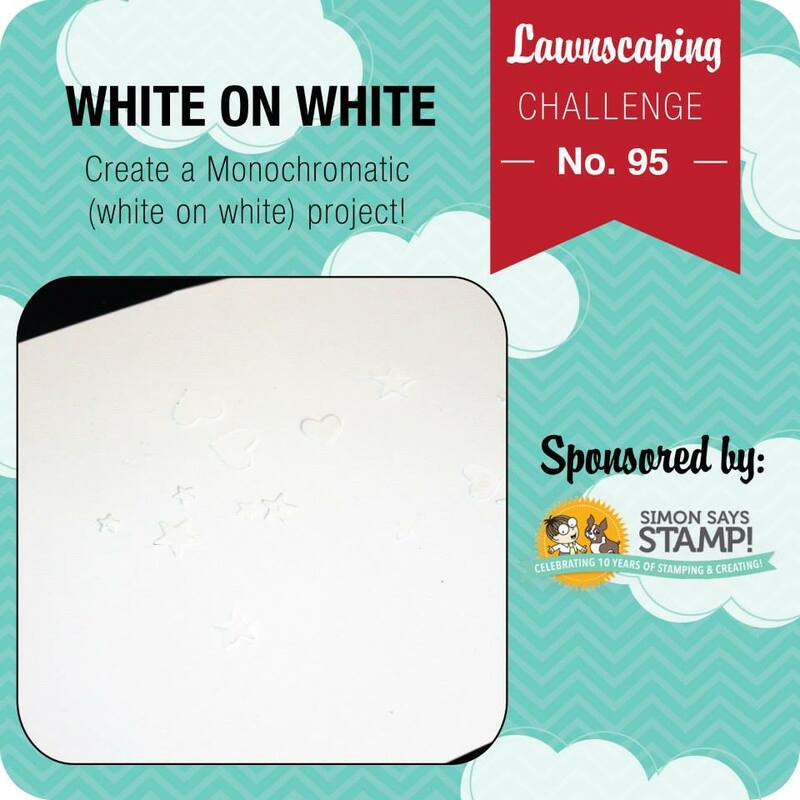 Head over to Lawnscaping Challenge to enter your own card using numbers in your card to win a prize sponsored by Simon Says Stamp! This is fantastic!!! Making your own dry embossed background is fabulous!! And I really love the tag and sequins, too!! Simplicity at its best! !